Rubber Jellyfish is the story of a pregnant wildlife activist who explores the ramifications of helium balloons on sea turtles, other marine species, and young children. This was a great project to be part of. The Rubber Jellyfish site is for a film documentary in the making. We needed to build the site quickly and implement a PayPal donation button. Ofcourse, the design had to be responsive. Fortunately, Carly had written the content and prepared the hero images. 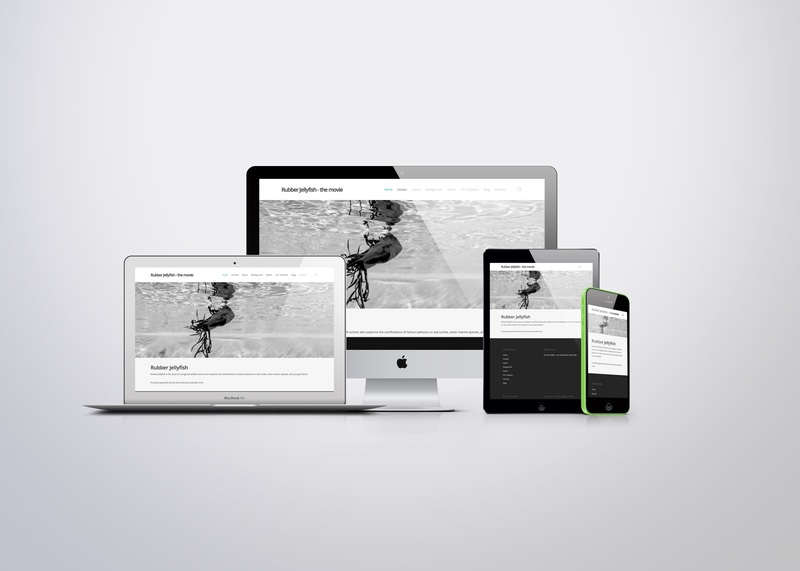 All that remained was to integrate a customised WordPress theme and add the content. We customised a beautiful WordPress theme and integrated the PayPal button over the course of a few days. That would not have been possible had the content been ready. Since the initial launch, we’ve since tweaked the content and added some video links.